The Changing Your World Network (CYWN) is a new kind of network. Unlike 99.9 percent of the TV out there, this is a network built on grace. Enjoy positive, 24/7 programming on healing, finances, relationships, finding peace and more to help you and your family find victory in life. No matter when you tune in, you’ll hear the Word of God taught—uncompromised—by a hand-selected group of today’s most-trusted Bible teachers. On the Web at cywn.tv, creflodollarministries.org and YouTube. 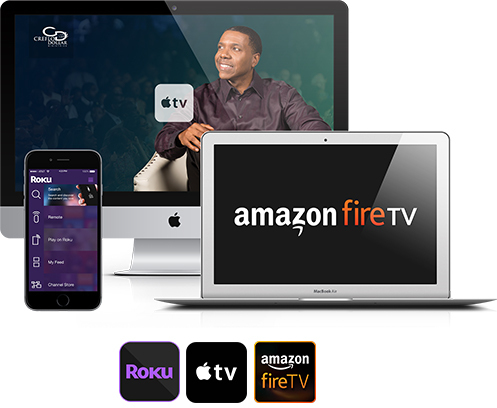 If you own an Apple TV® (4th generation or later), Roku® or Amazon Fire TV® internet streaming device, you can download the Creflo Dollar Ministries App. You will have access to the CYWN broadcast, the CDM and WCCI live stream, and archived content… all available whenever you want to watch! 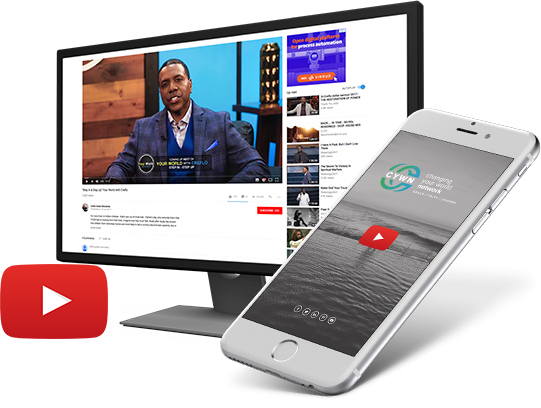 If you have access to YouTube, you have access to the Changing Your World broadcast and the Changing Your World Network (CYWN). 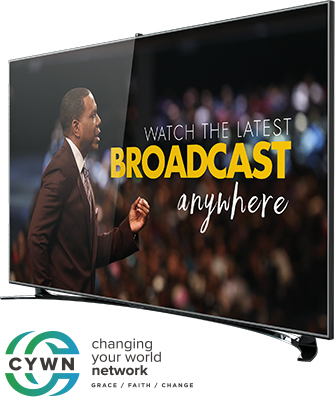 Simply over to either channel, and watch the latest broadcast, CYWN live stream, teachings and more. 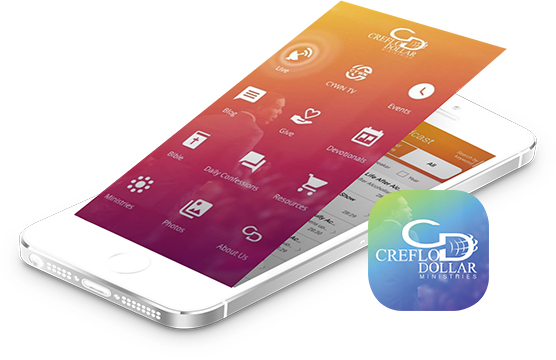 Experience Creflo Dollar Ministries Anytime, Anywhere!